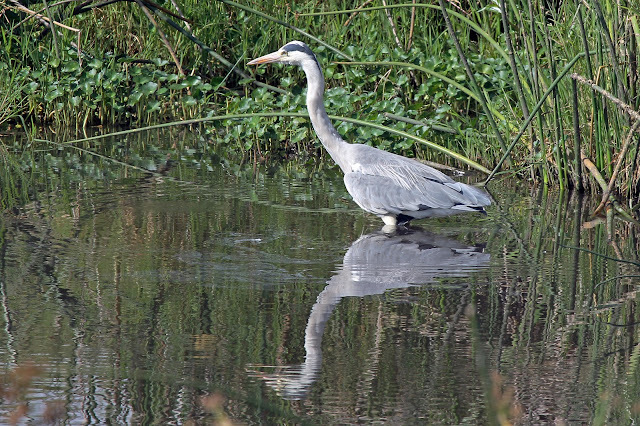 Today, for the letter G, we start in Kenya with images of two different species of giraffe, and then move down to Tanzania to see a Grey Heron. Masai Giraffe grazing in the Masai Mara, Kenya. The Masai giraffe, also spelled Maasai giraffe, is the largest subspecies of giraffe and the tallest land mammal. It has jagged spots on its body and a short tassel of hair on its tail. The bony outgrowths of the male's skull superficially provide the appearance of up to five ossicones. The dominant male's spots tend to be darker in colour than those of other members of its herd. 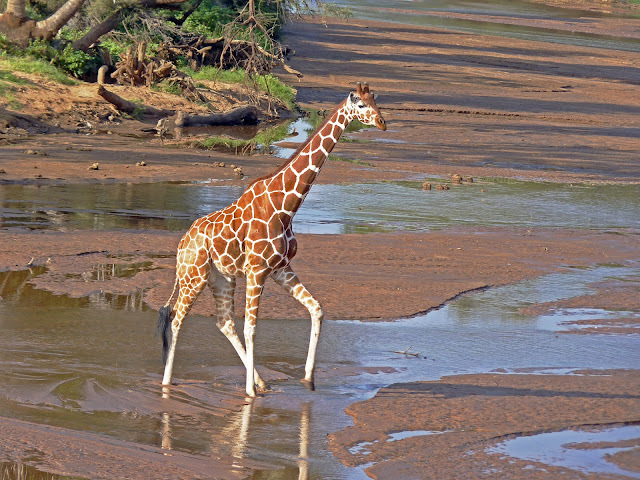 A Reticulated Giraffe crossing a stream in Samburu National Park, Kenya. 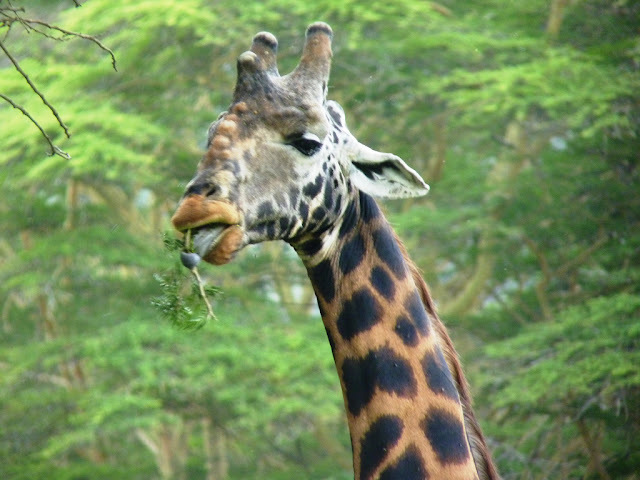 Reticulated giraffe are a giraffe subspecies that live in open woodlands and wooded grasslands in Somalia, northern Kenya and southern Ethiopia. They are herbivores and live about 25 years in the wild. An estimated 100,000 giraffe live in Africa, primarily in game or wildlife reserves. Grey Heron at Ngorongoro Crater, Tanzania.